Anywhere a provider can sign into the health system's Epic EHR, they can use EPCS, helping keep paper prescriptions off the street and reduce fraud. 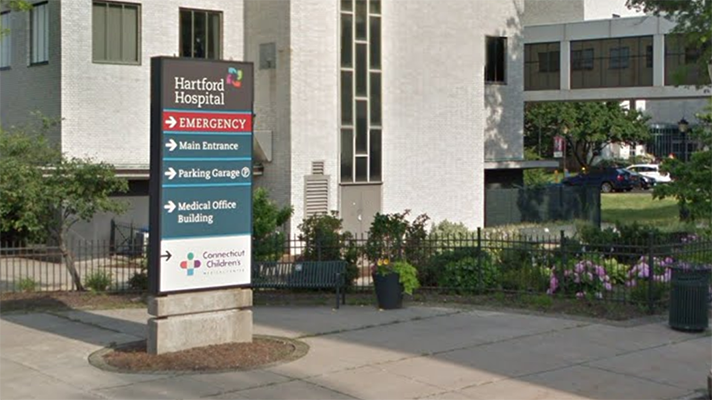 Hartford Health is a large health system serving the greater central Connecticut area. Last June, state lawmakers passed legislation mandating the use of electronic prescribing for opioid medications and other controlled substances. Jan. 1, 2018, deadline meant Hartford Health had less than six months to implement a system. "It was a huge project for us," said Spencer Erman, MD, chief medical information officer at Hartford Health. "We decided to partner with Imprivata to implement the technology. They worked with us to install all the hardware and software we needed, and helped get our physicians registered in time to meet state requirements." The system now is being used by a variety of providers in every hospital, ambulatory care center and outpatient surgery center in the health system. Providers are using it at home, as well. Basically, any place a provider can sign into the health system's Epic EHR, he or she can use EPCS. "As for devices, with Imprivata's Confirm ID platform, you have a choice of what to use," Erman explained. "It could be a key fob, fingerprint scanner or smartphone app. Most of our providers decided to go with the smartphone app, which works on Apple or Android phones. A handful of our providers are using fingerprint scanners, and we hope to add more in the future when our budget allows." Once a physician is registered in the system, if he or she is on the hospital Wi-Fi, they enter an electronic prescription, enter their password, and an instant message appears on the screen of their phone that says, "Do you approve this medication?" They swipe it and they're done. Electronic prescriptions solve a key issue when it comes to battling the opioid epidemic: They get paper prescriptions off the street. That has always been a problem because people alter paper prescriptions, they steal prescription pads and forge their own prescriptions, all sorts of mischief. "There is very little paper changing hands, which means the DEA number is no longer out there, the license numbers aren't out there. Forged and altered prescriptions have greatly decreased, if not disappeared." "That's all gone now because there is very little paper changing hands, which means the DEA number is no longer out there, the license numbers aren't out there," Erman said. "So, forged and altered prescriptions have greatly decreased, if not disappeared." Imprivata is just one of many players in the electronic prescribing software market. Other players include Allscripts, athenahealth, DoseSpot, DrFirst, HBS Pharmacy, MD Toolbox, NextGen Healthcare, PioneerRx, Practice Fusion, RxNT and Surescripts. With its e-prescribing system, anything Hartford Health prescribes now automatically goes into the Connecticut PMP. In the past, it might take hours or days for a pharmacy benefit manager to manually enter prescription information into the system. Now it is sent in near-real time. That helps prevent doctor shopping because people can't go to three doctors within two hours and get multiple prescriptions. It also allows for a complete state database and makes it easy to track who writes what. "In addition, EPCS helps doctors limit the amount of medication they prescribe," Erman explained. "In the past, we might give patients 7-10 days' worth of pills to avoid the hassle of having them physically come back for another paper prescription. "Now we can just give two to three days' worth and send a new prescription electronically to people who legitimately need more medicine. It is convenient for patients and limits the number of pills out on the streets or sitting unused in medicine cabinets," he said. Hartford Health learned a number of lessons along the way to getting up and running with e-prescribing and can share those lessons with peers. "The most time-consuming step was what's called ID proofing: Registering all our prescribers with Imprivata software to ensure access to the system," Erman said. "We had 4,000 providers and just over 2,000 prescribed controlled substances in the past year. So, we had to register 2,000 providers in a couple of weeks." The registration itself isn't difficult, Erman added. Prescribers show their hospital ID and one form of government ID. Qualified personnel enters data into the system. Finally, they sync the smartphone app in Epic. It takes about five minutes total per provider. "To meet our deadline, we made sure we had a lot of people with clearance to do the ID proofing," Erman said. "We set up kiosks in all the hospitals and went to every department meeting possible to get everyone enrolled. But we used the time with providers to fill other needs as well." For example, Hartford Health was installing Single Sign-On (a badge tap), so the health system went ahead and registered everyone for that at the same time. It also registered everyone's fingerprint while it had them because it plans on rolling out fingerprint scanners across the health system at some point in the near future. On another front, one tip Erman would offer others planning to implement EPCS is to have a plan for entering pharmacy information. "You need to have a favorite pharmacy within Epic and that's not always done," Erman said. "A patient coming through the emergency department isn't necessarily going to have a pharmacy of choice registered in the EHR. But you have to enter one for EPCS. "The challenge is not everyone has the proper clearances or credentials to enter that field, at least within Epic. What we did was create a drop-down menu which makes it simple for doctors and nurses to enter a pharmacy. That approach worked well." Learn how tech is being used to battle abuse.